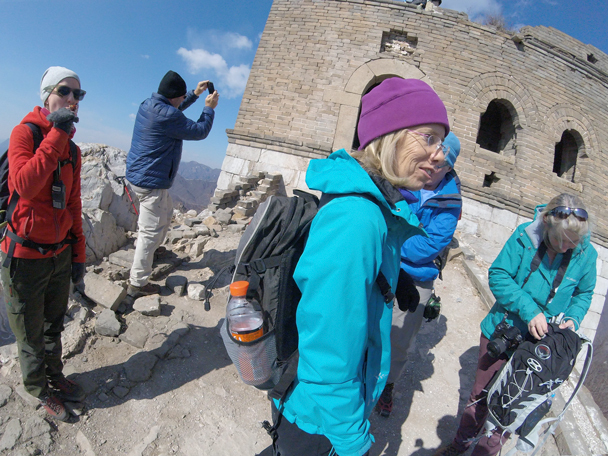 In Brief: Photos from our hike from the Jiankou Great Wall over to the Mutianyu Great Wall. 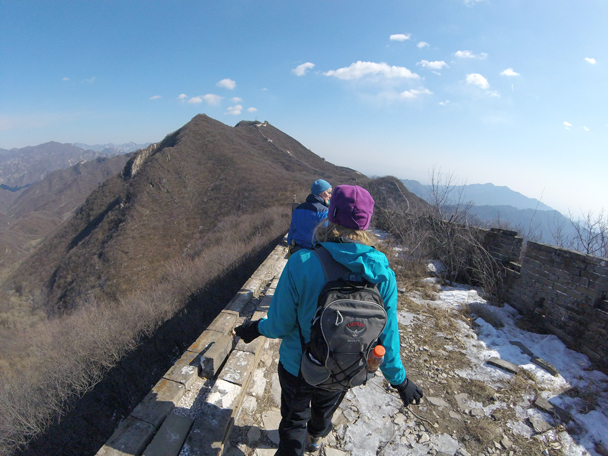 The Jiankou to Mutianyu Great Wall hike is one of our favourite wall walks, with big climbs up hills and on the wall to go with excellent views of unrestored ‘wild’ Great Wall and the repaired wall at Mutianyu. 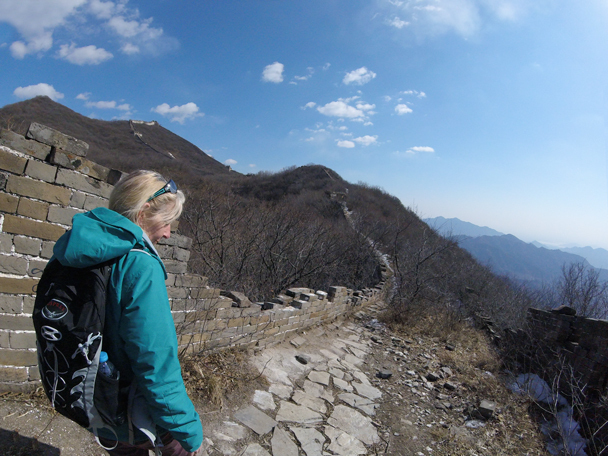 On this visit we enjoyed some nice blue skies, and were happy to find we had the wall pretty much all to ourselves all day! 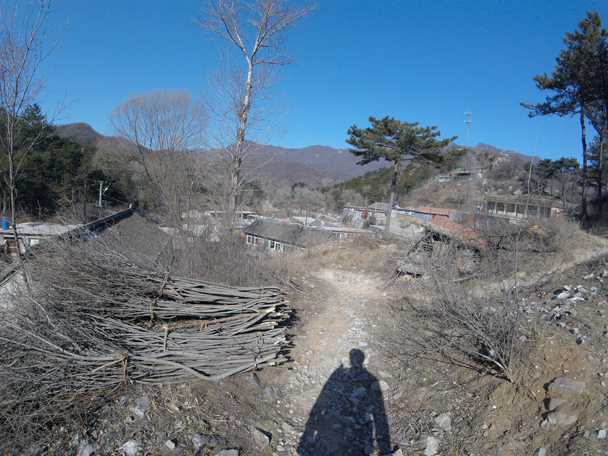 A view of the small village where we started the hike. 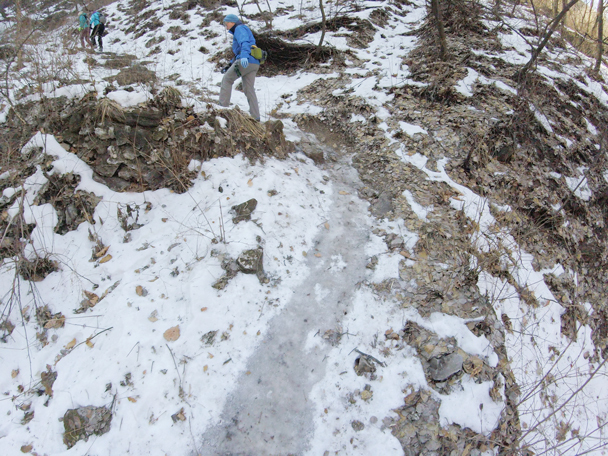 The trail was up to the wall was still icy. 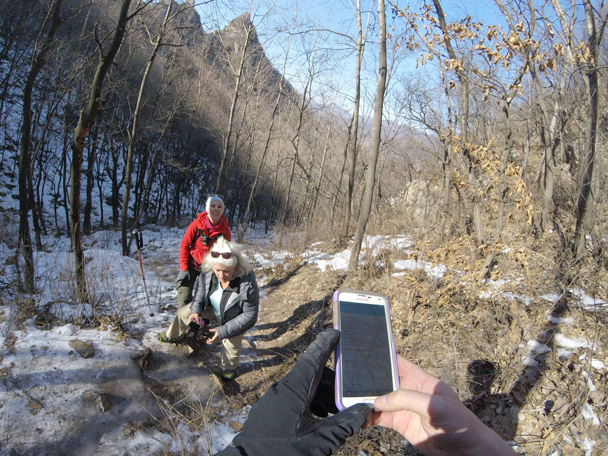 With the Go-Pro on automatic mode we can take photos of ourselves taking photos. 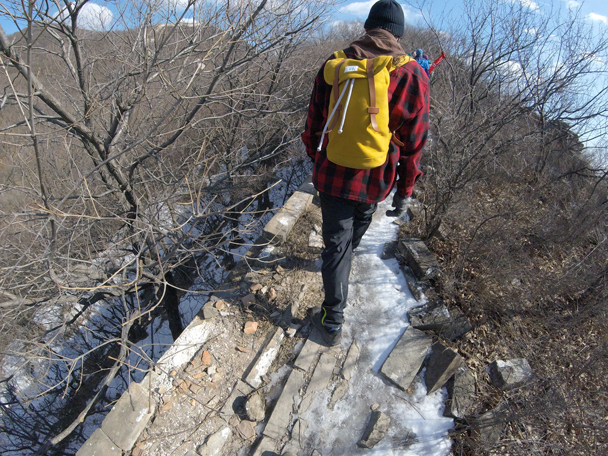 Some icy steps made things difficult. Luckily we brought our crampons. 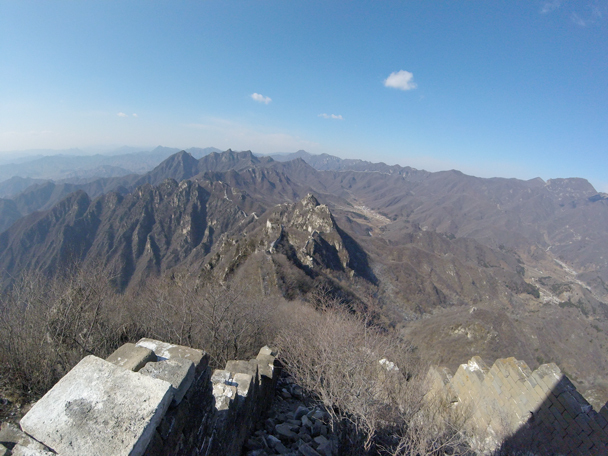 Despite the ice we made it to the top and were treated to super views. 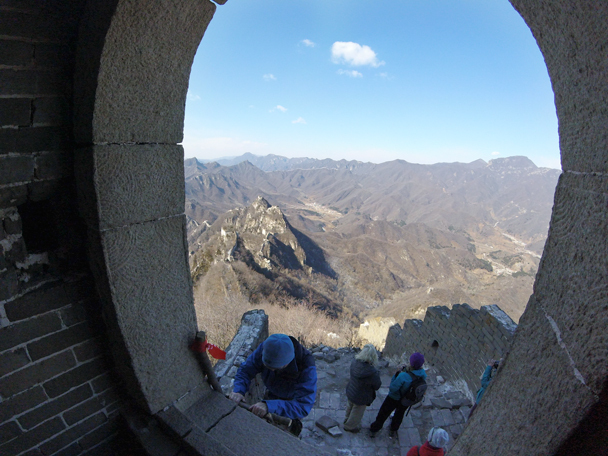 Looking out through the door of a tower. 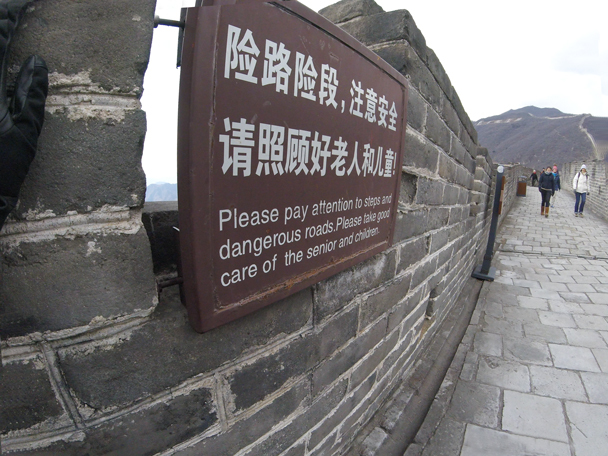 We’d continue further along the wall. 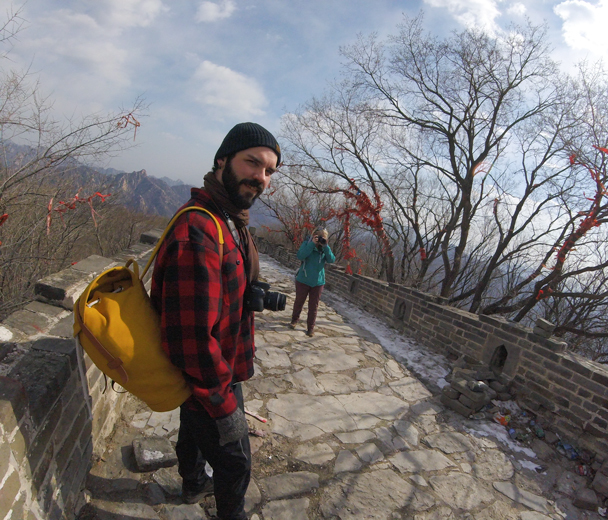 Time for some photos and snacks before continuing on to Mutianyu. 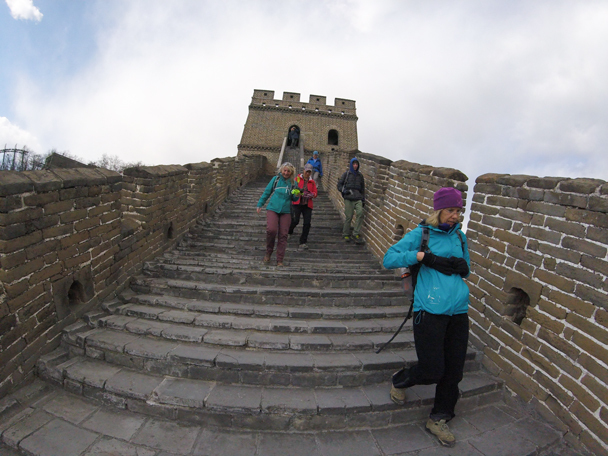 We were headed for the tower on the tall hill in the background. 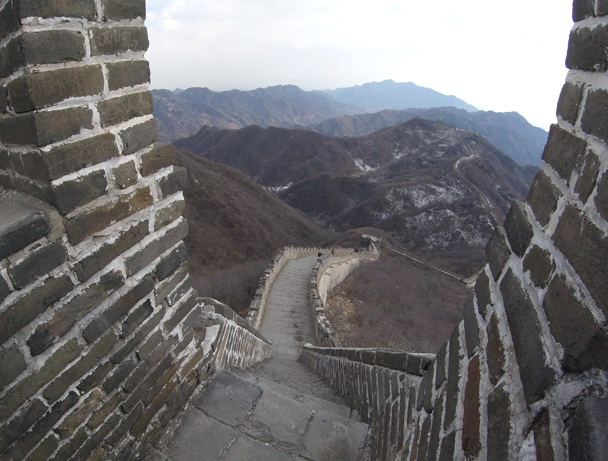 The wall there makes a big curve to follow the ridgeline, a feature known as the Ox-Horn. 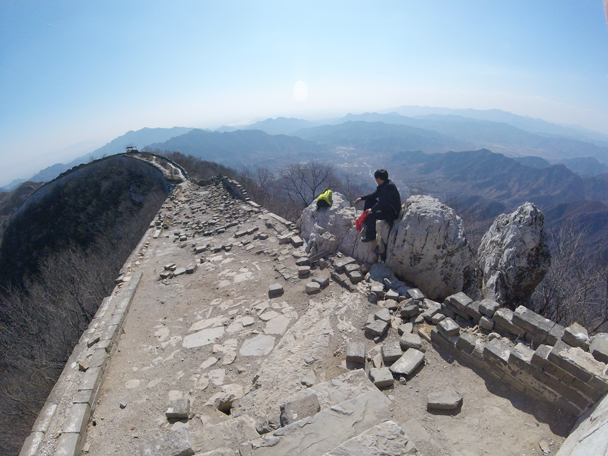 Hiking along unrestored Great Wall. The wall narrows here, and is almost covered by trees and bushes. 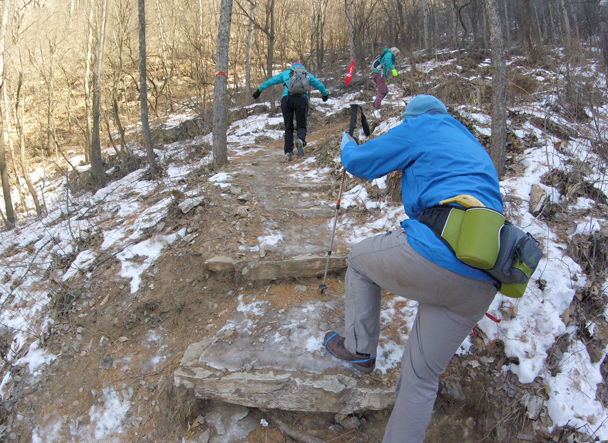 Some ice on the steps made this bit a little tricky. 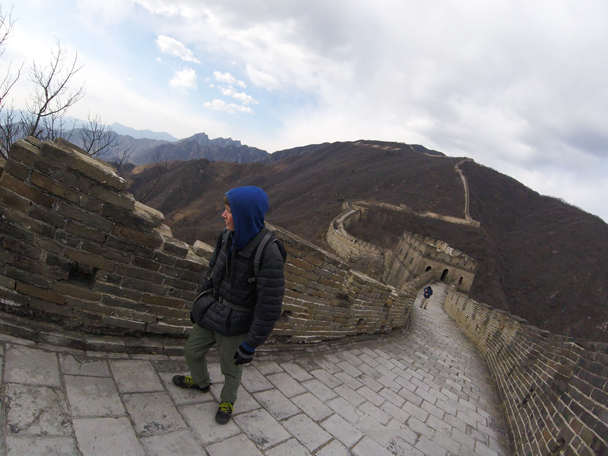 We crossed over on to the Mutianyu Great Wall. 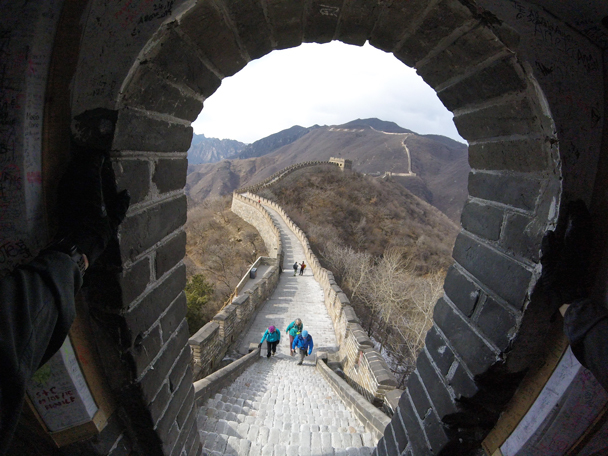 Steep stairs and impressive views of the Mutianyu Great Wall. 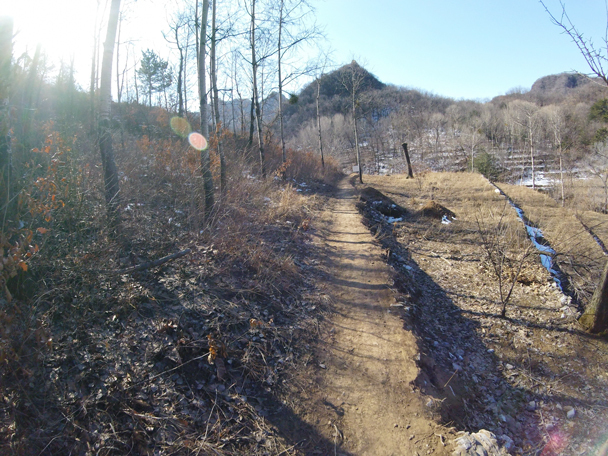 Way in the background of the photo is where we hiked over from. A sign in the park area. 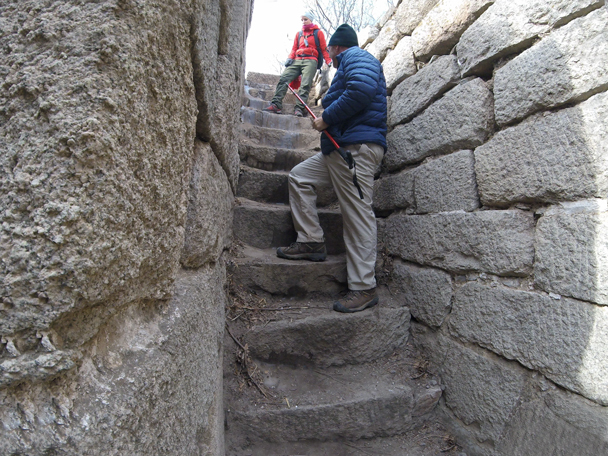 Coming down the steep steps from a tower. 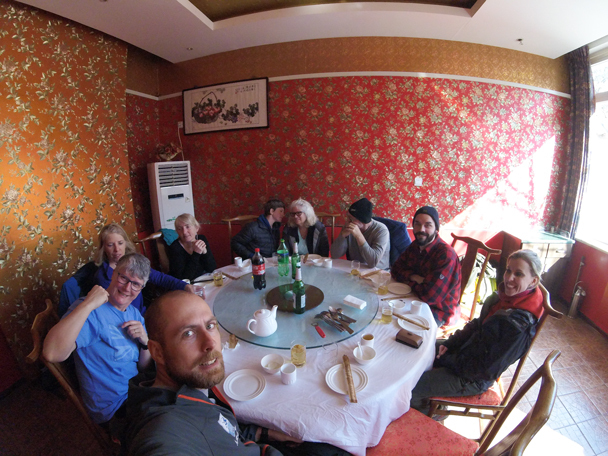 After the hike, and a well earned meal is on the way!